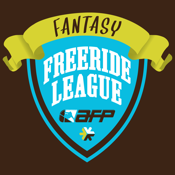 The Fantasy Freeride League presented by Freeskier and the Association of Freeskiing Professionals is a fantasy game for pipe, park and slopestyle skiing. Events include the X Games, Dew Tour and more. Draft skiers like Tom Wallisch, Simon Dumont and Torin Yater-Wallace and earn points when they do well at competitions.